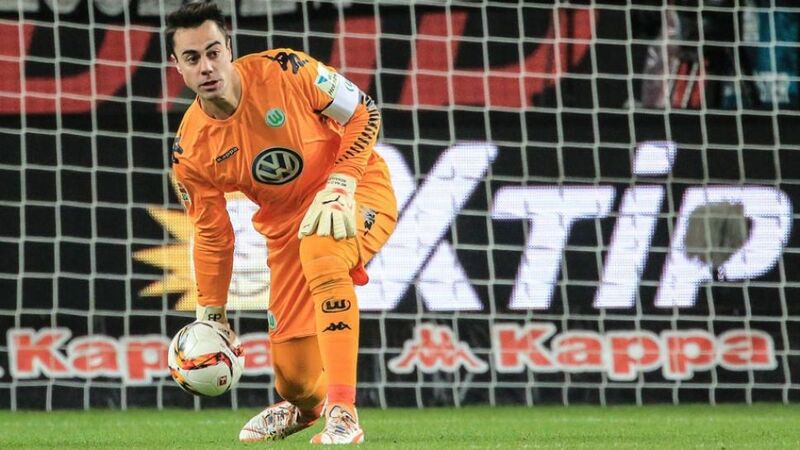 Diego Benaglio admits catching Bundesliga leaders FC Bayern München is no longer on the to-do list for fourth-in-the-table VfL Wolfsburg, following Saturday's 1-1 draw at home to Hamburger SV. Speaking from the bowels of the Volkswagen Arena, the Wolfsburg goalkeeper dissected his side's performance against HSV, cast an eye over the current and looked ahead to the draw for the UEFA Champions League Round of 16. Question: On the last matchday of the Hinrunde you play bottom club VfB Stuttgart. The onus is on you to win, surely? Benaglio: It was our objective to take six points from our last two games. That didn’t happen, but we have to give it everything again to try and get a win and put ourselves in a good position for the second half of the season. We’re not going to lose any sleep over the current standings. Question: On Monday it’s the draw for the UEFA Champions League Round of 16. After beating Manchester United, Wolfsburg are one of the eight group winners in Pot One. Is there a particular team you’d like to be drawn against? Benaglio: I’d like us to draw a team that, as much as possible, is on an equal footing with us. I don’t think we’d have anything to fear if we drew AS Roma, for example. I’ll put it differently: if I had to pick a team I really didn’t want to draw that’d probably be Paris Saint-Germain. We wouldn’t really want Juventus either, but I do think we’d get our chances against them if we put in two good performances. I could live with it if we got Roma. We’d also take Arsenal, but it’s not something we can influence. Ideally, we want an opponent we can beat. It’d be great if we can make it through to the quarter-finals.